This course is aimed at anyone who requires a course in AED use. Learning AED skills is becoming more important with the increase in the numbers of units in the community and workplace. They are easy to use with little training and make a real difference in the chance of survival to someone in cardiac arrest. 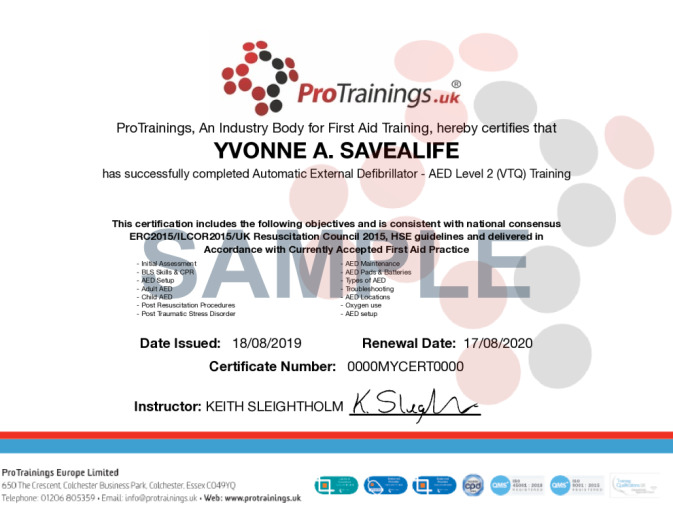 If you have already completed any other first aid course, you will understand the importance of the prompt use of an AED, making this an ideal course to develop your skills. To renew your qualification you can simply complete the same course again. You can gain your qualification 100% online now, 100% classroom through our network of instructors or blended where you complete the online course and then a short practical lesson locally. 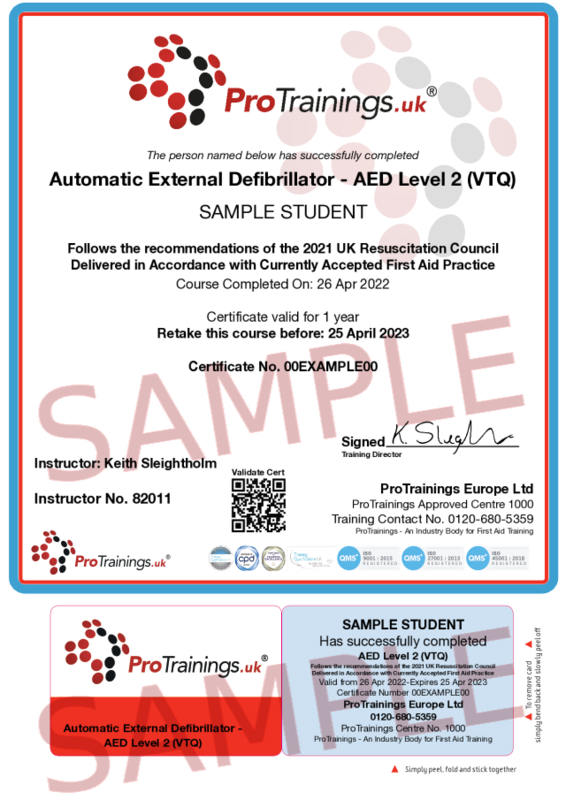 All our first aid courses fully meet the latest UK and European Resuscitation Council Guidelines 2015 (not due for review until 2020) as per the HSE requirements. The regulated version of this course includes Basic Life Support (CPR) and is a longer course. This course comes with 3.0 hrs (4.0 class) of CPD, although the time to complete the course online may be less than this. Total course time includes 3 hours and 10 minutes of video training as well as knowledge reviews, final test, remedial help and reviewing downloaded material.